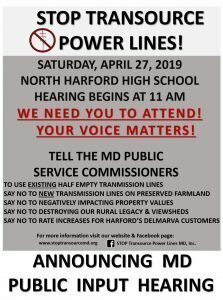 Support our neighbors in Harford County and in PA in the fight against power lines by attending the hearing on April 27th. This is the case that is going to set the stage for future projects. 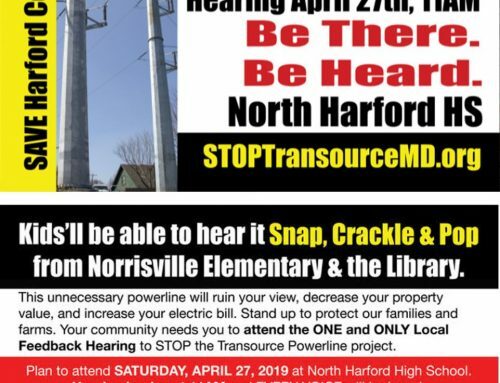 If not stopped, the transmission lines are coming our way and will continue through the Hereford Zone- cutting through farmland and forever changing the landscape. As you can imagine, defending our community against big utilities is very expensive.